Two major cast changes for the long-running MTV and Bravo reality shows. RHONY’s ‘boat ride from hell’ wasn’t filmed. Wait, what? At long last, The Real Housewives of New York City arrived at the point where everyone almost died in Colombia when their boat caught fire and sank. Except it didn’t quite go that way. The Real Housewives of New York City season 10 reunion won’t include Luann, who’s back in rehab. Also: Luann decided to divorce Tom before the last reunion. Dorinda is once again hosting her fellow Real Housewives of New York City cast members at her Berkshires home, and the first episode delivered some wonderfully ridiculous drama. 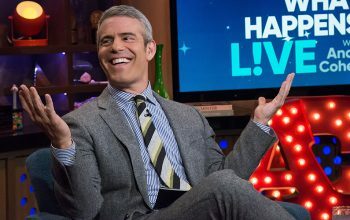 Any headlines and stories declaring the next Real Housewives series on Bravo would be set in Nashville are not accurate, according to Andy Cohen. 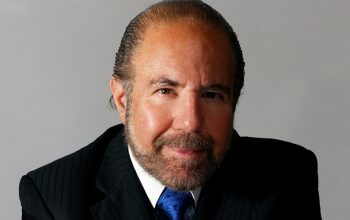 Bobby Zarin, Jill Zarin’s husband, died from cancer today. He was 71. He appeared on The Real Housewives of New York City during its first four seasons, when Jill was a central cast member. Luann D’Agostino just announced on Twitter that she’s divorcing Tom D’Agostino, three days after insisting they were happy together. Bravo’s Real Housewives franchise will reach a milestone with the debut of The Real Housewives of Orange County: its 100th main cast member. 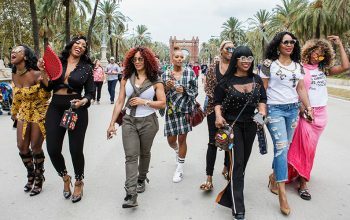 The Real Housewives of New York City’s ninth season has had a slow start over its first five episodes, which have been dragged down by the election. 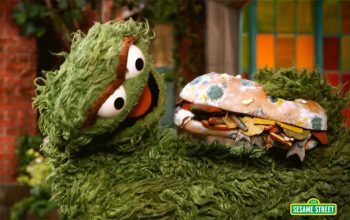 Sesame Street released a three-part parody of The Real Housewives called The Real Grouches of Sesame Street. It doesn’t work. I’m a grouch. 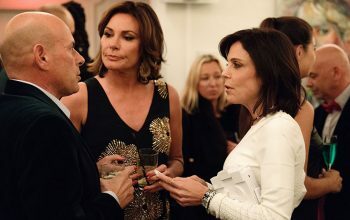 The Real Housewives of New York City returns tonight, following a series-high scene last season that began with Bethenny revealing Tom’s betrayal to LuAnn. Bravo announced the return of The Real Housewives of New York City today and released the “this season on” trailer that highlights all of the spectacular and absolutely pointless drama. Among the highlights: Sonja Morgan claiming she was allergic to a man’s sperm; more Tom drama, including Bethenney crying; Bethenney jumping naked into a pool, and she’s only blurred out Naked and Afraid-style (i.e. there’s a full moon); and a cameo by early season cast member Jill Zarin, who hasn’t been on the show in years.